Each environment supports different species and ecological communities. There are the astounding karst formations of our cave systems, and the alpine splendour up in the higher mountain ranges. The NSW coastline supports wetlands and saltmarsh as well as dunes, mangrove forests and sea grass meadows. Deserts and semi-arid deserts cover vast areas of the state, as do grasslands, heathlands and woodlands. Some eucalyptus forests have even evolved into precious pockets of rainforest. 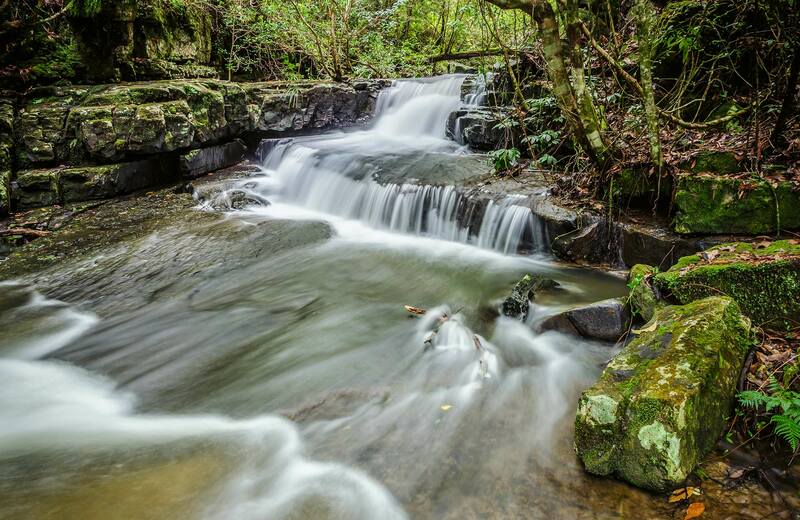 All these inspiring natural environments can be found in NSW national parks. Wetlands are environments that remain wet long enough for their plants and animals to become dependent on the moist conditions for at least part of their life cycle. NSW’s wetlands are home to many wetland plants and animals, making them great environments to enjoy swimming, fishing or bird watching. NSW national parks are home to many woodland environments, from the coast to the inland arid deserts. Woodlands differ from denser forest or rainforest areas because of the wider spacing of their trees, which allows more light to enter through the tree canopy. Woodlands support many different types of vegetation and wildlife. The NSW coastline is lined with scenic beaches that are ideal places to enjoy surfing, swimming and fishing. Besides the great sun, sand and surf, there's also plenty of interesting wildlife and marine animals to see in NSW's coastal environments. Caves and karst environments form an important part of NSW’s geodiversity, with many impressive ancient and young rock formations being found throughout the state. Among them are the famous Jenolan caves in the Blue Mountains, which are the oldest discovered open caves in the world. The precious rainforests of NSW are the most diverse of any in Australia, making them incredible environments alive with great biological diversity. They provide the perfect environment for outdoor activities like walking, bird watching and mountain biking. NSW national parks are home to vast swathes of varied native grasslands, stretching from the coastline to the interior. Grasslands are immensely variable environments, essential in maintaining the balance of our ecosystem and providing food for foraging animals and wildlife. The heathland environments of NSW are comprised of shrubs and heath which, due to their abundance of pollen and nectar, attract a diverse array of heathland animals and plants. This makes them an excellent environment in which to go bushwalking and bird watching. The arid and semi-arid desert regions of NSW are dominated by chenopod and acacia shrublands because of these regions’ limited, sporadic rainfall and low soil moisture. Many other interesting desert plants and animals can be found here, too. Among them are various species of lizards, wallabies, kangaroos and bats. The unique NSW section of Australian Alps is found in the southern section of the Great Dividing Range and includes the Snowy Mountains, ACT and the Kosciuszko plateau. The NSW alpine environment harbours a fascinating range of Australian native plants and wildlife only found in these rare high-altitude regions.